Attention!!! Race Format has changed as of Thursday 12/28/2016 due to lack of snow. All information and prices have been updated to reflect new race format. 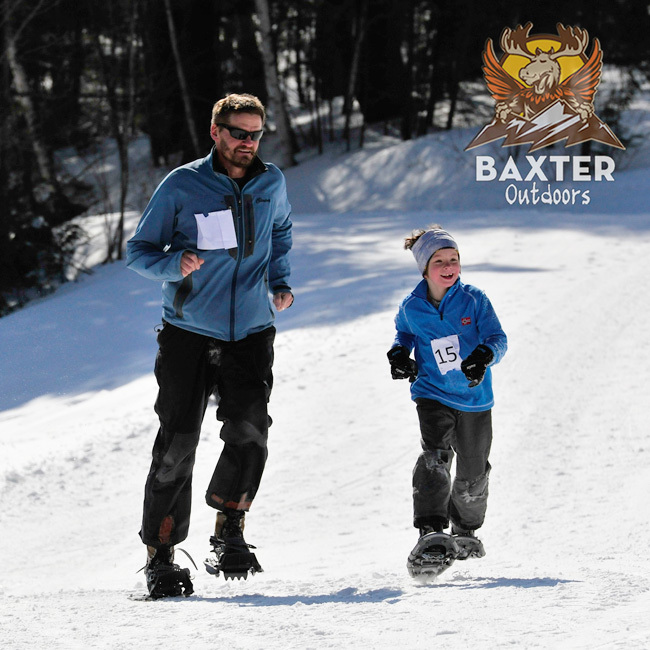 Baxter Outdoors continues the 2016 Packed Powder Series with a stop at Lost Valley Ski Area in Auburn, Maine. This classic local ski hill has over 10km of cross country ski trails will play host as we snowshoe our way through the woods of central Maine. Due to a lack of snow, the Lost Valley Winter Duathlon has been altered to a standalone snowshoe race. The 5km loop course will be used for both solo and team formats. The 10km format (solo and team) will include 2 two laps of the course. The snowshoe will take place on single track trails throughout the woods. This race will start and finish at the Lost Valley base lodge . **Please show up no later than 9:15am for a 10:00am shotgun start. This course is designed for, beginner, intermediate and expert athletes. The course involves several short steep sections on the xc course and over 3 miles of single track snowshoeing. The course involves moderate elevation change but no sustained hill climbs. What format is the Nordic ski leg?